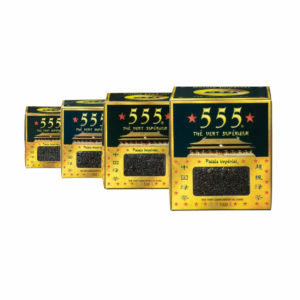 Haudecoeur offers several varieties and brands of green teas. 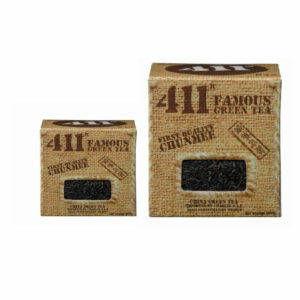 Green tea gunpowder is used for the preparation of the famous mint tea. Native of Zhejiang region, it owes its name to its rolled leaves. Chinese also call it “tea pearls”. 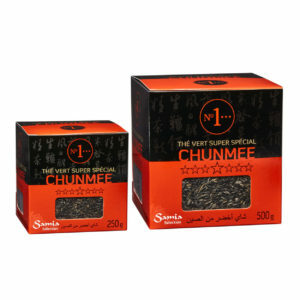 Green tea Chunmee, litteraly “old man’s eyebrow” is characterized by the tight, thin, slightly curved form of its leaves. 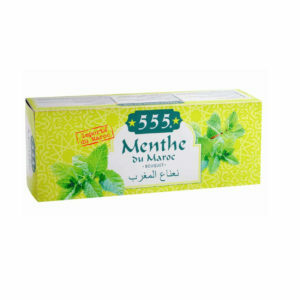 Camel tea : light and subtle, this green tea is perfect for everyday use. 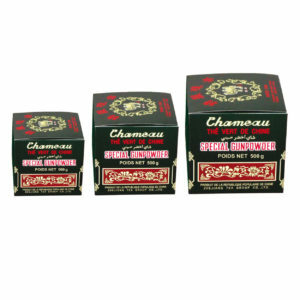 The gunpowder tea is used in the famous mint tea. Coming from Zhejiang, its leaves are rolled like small balls. Its leaves were hand-sorted and particularly tight rolling to insure the best quality of green teas. 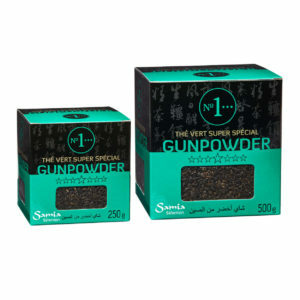 Considered as the best gunpowder, it is addressed to those who are looking for the best quality. 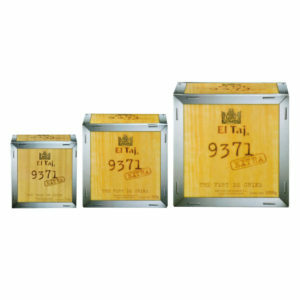 El Taj 9371 tea is a variety of Chumee, its literal meaning is “old man’s eyebrow” and it is characterized by its tight, thin and slightly curved leaves, its green color and its freshness. Young leaves that perfume green tea with their subtle shoot’s perfume and high quality. 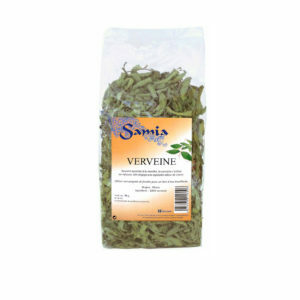 Its elegant and light taste is a source of immediate and delicate freshness once in your mouth. Morocco’s verbena : often associated with mint, verbena is used as an infusion. It gives off a pleasant smell of lemon. Used a handful of leave in 1 litter of boiling water. Dried mint bouquet, essential in mint tea preparation.